Primorye 80ty years old is a multinational holiday! 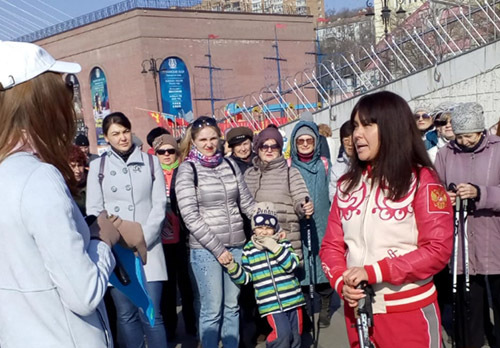 The anniversary of our region gathered on the central square of Vladivostok all 34 municipalities, representatives of various ethnic groups and national diasporas, inhabiting the territory of the region. The participants of the festival presented to the guests folk crafts, songs and dances that were passed from generation to generation. Primorye Birthday gathered in one place a variety of cultures. From morning to evening, guests of a large exhibition and concert in Vladivostok learn the customs and works of many nationalities, including studying Russian-folk traditions. On this day, the participants and guests of the festival were united by the united native land of the Primorye.